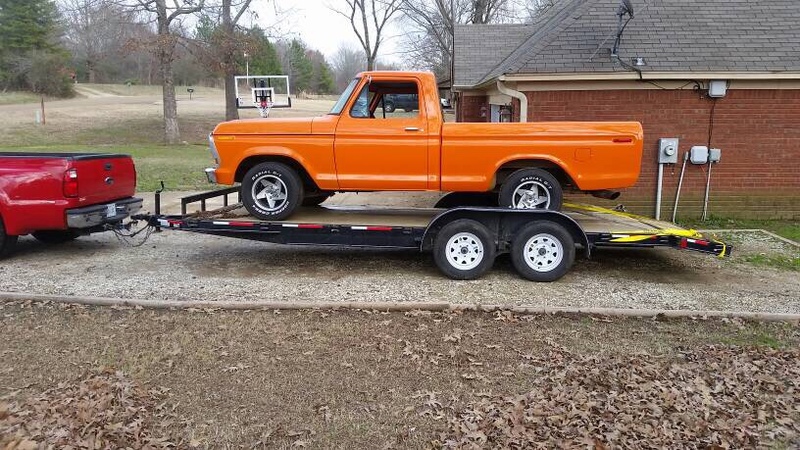 This won't be near the full blown project/resto most of you guys showcase here, but figured I'd start a thread instead of constantly clouding up the random pic thread with my garbage. 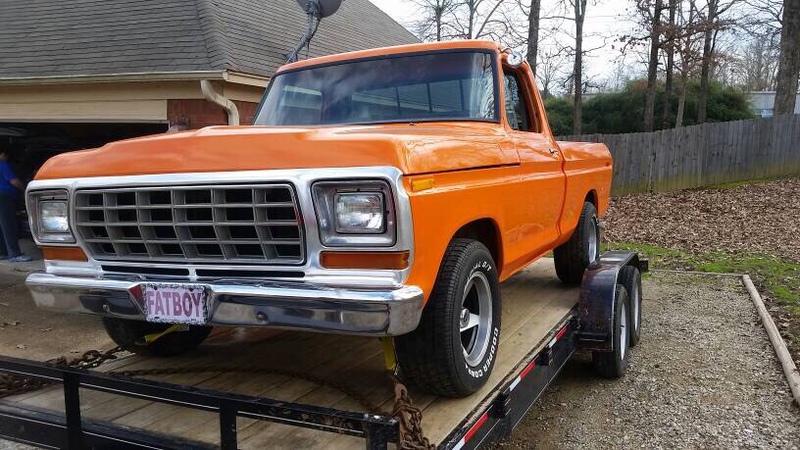 Recently bought this 1977 F100, as this body style has been a dream truck of mine since I was a kid. A little info...77 model SWB, converted to one piece grill and square headlights, 302 with auto. The good....fresh body work and paint less than a year ago, can't find a spot of bondo anywhere, lots of new parts, wiring is good, all gauges work, ect. 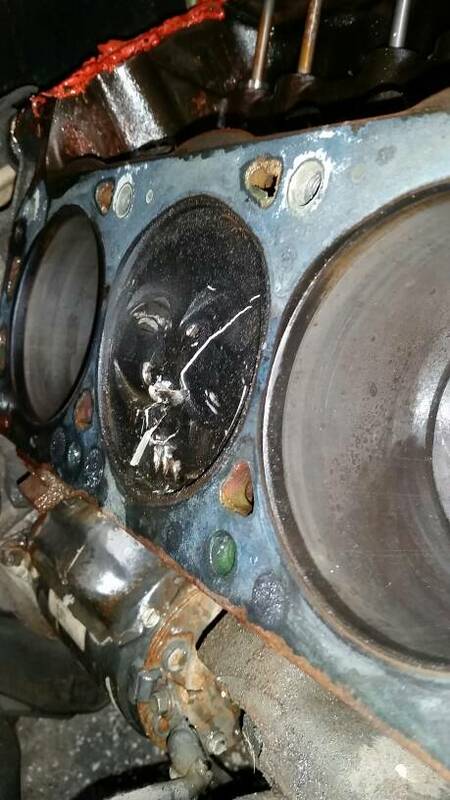 The bad....engine dropped a valve. (And a few cosmetic choices made by the previous owner obviously). Plans are fairly mild at this point. 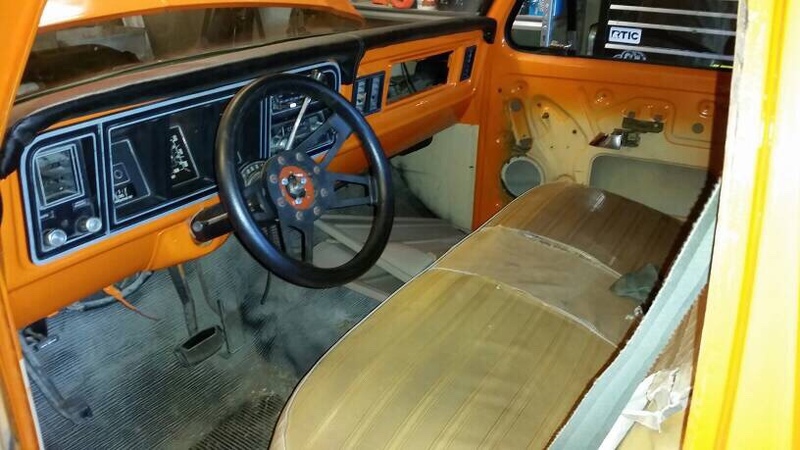 Get it running, finish up the interior (which is probably 80% done already) then drive it. Will be an ongoing project for years to come I'm sure, and everything I "want" to do won't be done all at once. Couple extra pics just for fun. Decided to do a little investigation this afternoon. 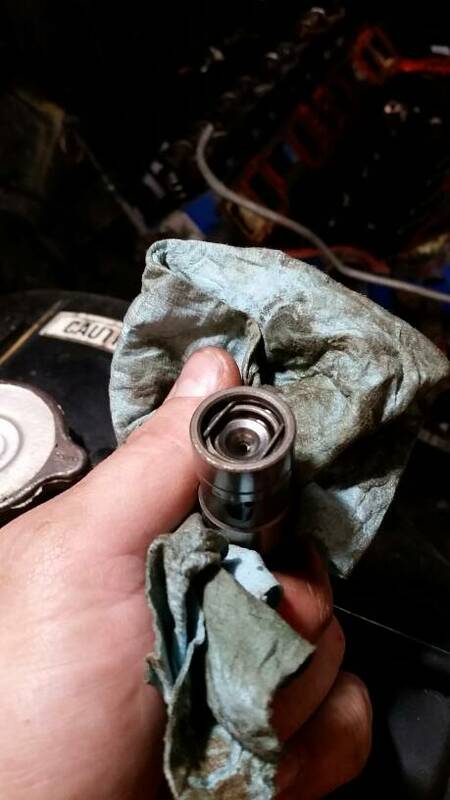 Pulled the plug on the cylinder that lost the valve. It's obviously been hit, but it's not broken. Electrode is just bent over to one side. 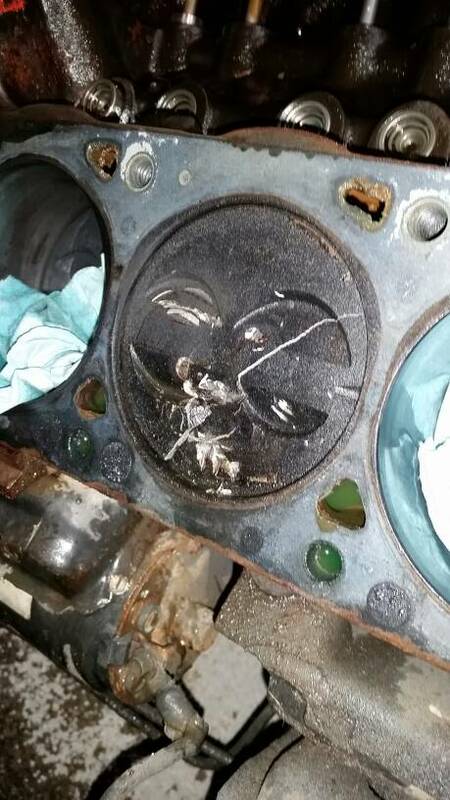 Dude told me it started missing, so they shut it down, pulled the valve cover and found the issue. Then tried to bump it over thinking it would push valve back up through the head, but it just locked up. 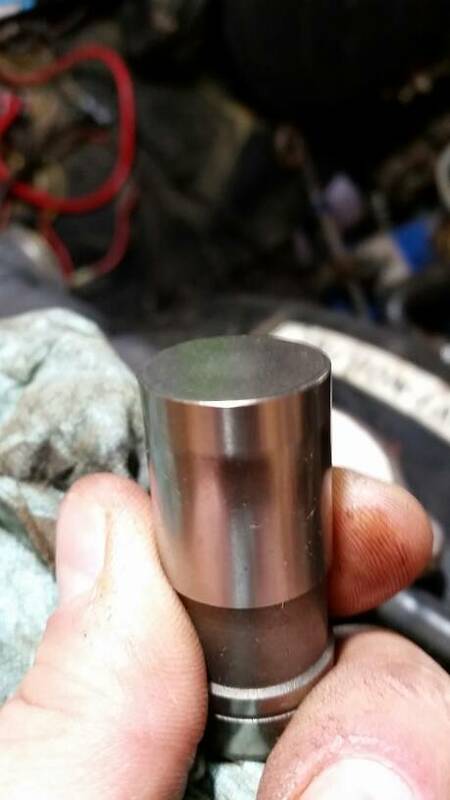 Was looking over the spec sheet for the cam he said he put in it. Comp 31-216-2. He claims he put stock springs back in it because "it didn't need stiffer ones", but on the spec sheet it clearly states in big bold letters "springs required" and even listed the part number for the set. It's also a hydraulic cam, and I'm curious if he even swapped in a set of hydraulic lifters to match. Decided to work on pulling that head and see just how much damage was done. Got a little ways tonight and will finish tomorrow. I haven't fooled around in the gasser world in years, so this is a welcome change from diesel fumes and soot! I forgot how heavy a cast intake manifold was too. Apparently he LOVED Permatex. Even had the intake gaskets glued down solid with the stuff. 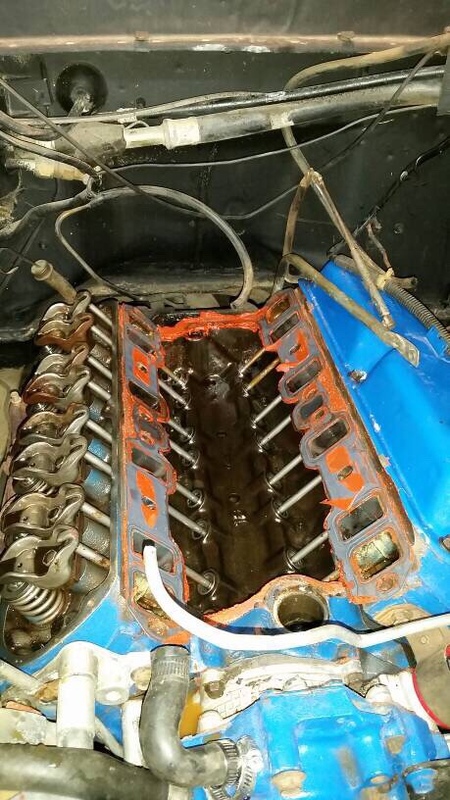 I should have the head off tomorrow, and hoping maybe I'll get lucky and it didn't eff up the cylinder walls. How nice would that be! More pics to follow the deeper I get. Anyone with experience with that particular cam? It's less than a year old so I see no reason not to use it with my mild build. I'll get the right springs and hyd lifters too. 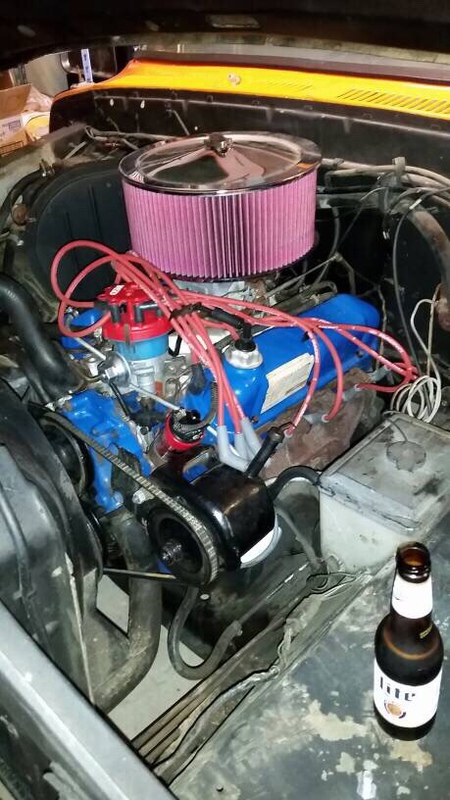 Will be swapping on an aluminum intake and fresh 4 barrel (currently has a 2 barrel), and a set of long tubes. Other than that, it'll be stockish for a while. Is that a good drivable cam? Got pushrods out...one on that cylinder had a slight bend in it which was to be expected. But it really is just a slight bend. Pulled a lifter...at least it's got hydraulic lifters in it already. Only pulled the one, but the tappet end looks practically unused. 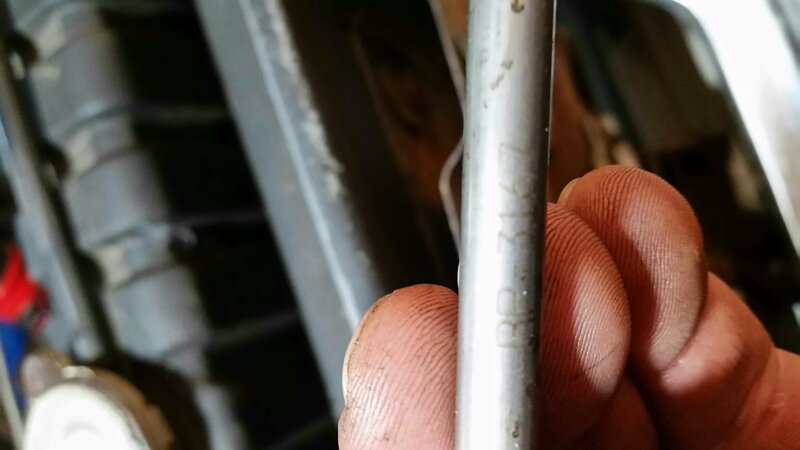 Some of the pushrods gave this stamped on the side. 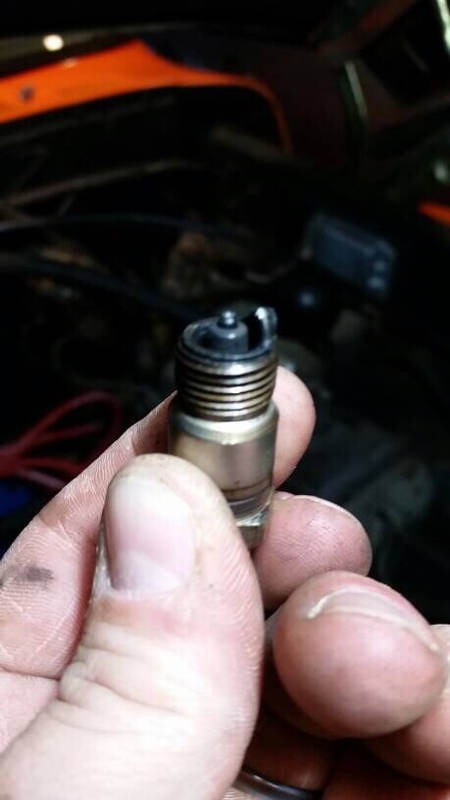 I assume it's a brand/part number? Why don't they all have it though is my question....surely he didn't mix/max pushrods. "RP-3167"
Well, so much for getting lucky. 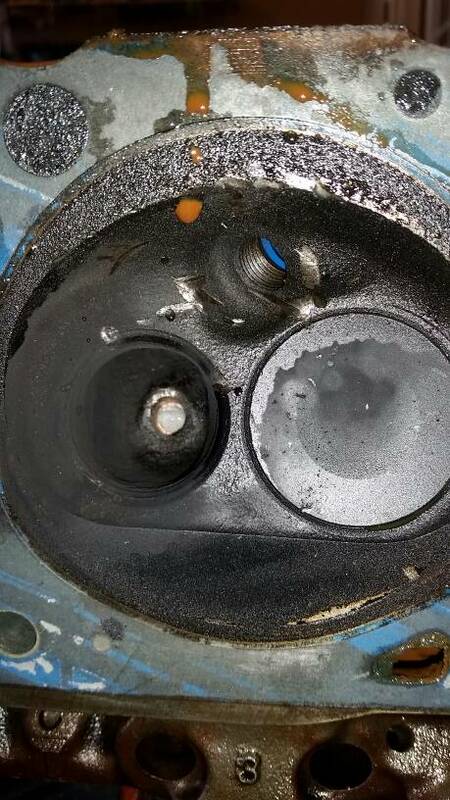 Piston is cracked. Explains why it locked up. I'm curious what the cylinder wall looks like though. That's a big bummer. I thought you might have gotten lucky. 1996 F350 2WD PSD RCLB dually, 6637 air filter and 17 position hydra, quad guages. 05 axle swap soon. 2001 Excursion Limited PSD 4X4, 6637 air filter. 2002 F350 Lariat 4WD PSD CCLB dually, 6637 air filter, and international bellowed uppipes. Yeah really. Oh well. Bore measured 3.9975 by my mic so looks like it's never been bored before, which is shocking. An original 1977 302. I'm definitely jealous of that truck by the way! You can just drop it off at my place anytime! 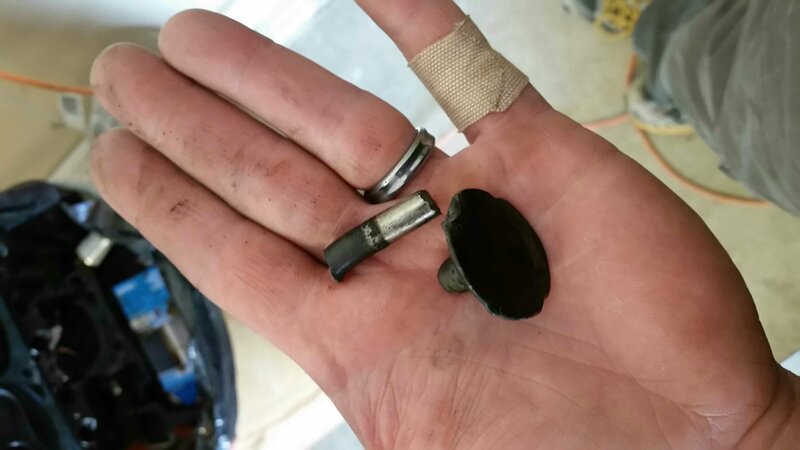 It has a scratch down the cylinder wall that I can catch my finger nail on. I would think that'd be an issue.